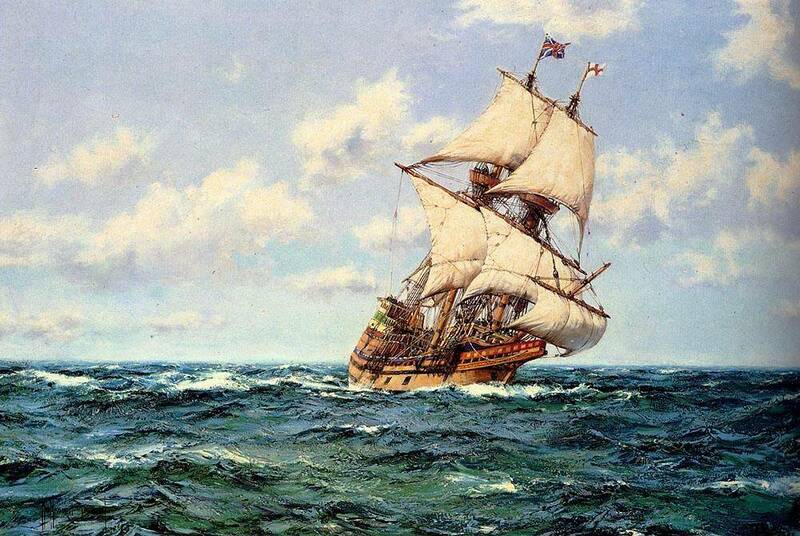 The day on which I write this is the anniversary 395 years ago of the sailing of the ship Mayflower for the New World. It was chartered by a group of merchants known as “the London Adventurers” and carried 102 settlers. I can only guess what visions and dreams motivated those Adventurers and settlers. I’d like to know, in familiar detail, because one of those settlers was an ancestor of mine. Two things I find particularly remarkable today about that voyage. The first is that they didn’t arrive in the place for which they set out. A delay in their departure put them in the way of bad weather, and they were blown off course, landing at Cape Cod instead of the Hudson River. It has been my life story and, I suspect, the life story of most of us. When I embarked on a new voyage in life in my early 30s, I expected it to take me through seminary on the east coast and then right back to Southern Illinois and all of my church connections. The winds of life, both stormy and fair, have carried me far away from the destination I anticipated. My journey and the places where it has carried me don’t submit to judgments of good or bad. They simply have been what they have been. And whatever else they may have been, they have been (they are) all holy ground. The only differences that have mattered have been the degrees to which I have been present to those places and observant of their holiness. (There’s a three-year time in my life, the first time I was in graduate school, that still seems a void because the whole time I was there I was anticipating the somewhere else where I’d end up afterwards. I was never really there when I was there. I still feel the loss.) I’ve come to trust that it doesn’t really matter where life takes me as long as I choose to really be there with the God in whom everything is and was and will be. Cape Cod is as good as the Hudson River if I’m open to the possibilities of grace. The second remarkable thing I find in the story is that, although that first winter for the settlers was terribly difficult – only about half of them survived it – none of them took the opportunity to return to England when the Mayflower departed the following spring. It hardly needs to be said that life can be lived in only one direction, forward, never in reverse. Lord, let me look back with great pleasure or deep regret, but let me never relive the past in my imagination or wish it were any different than it was. Today has blessings enough for a lifetime if that lifetime is well lived, and it leads to an even more graceful future.